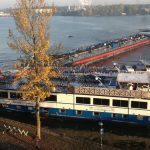 The 110 meter long self-propelled tanker-barge Poolzee allided with the 79 meter long passenger ship Angela Esmee and the 72 meter long passenger ship Anna Maria Agnes along a quay at Amsterdam. The Poolzee’s bow struck both passenger ships causing them to push up against the quay. 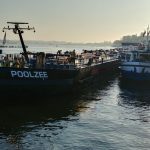 The Anna Maria Agnes sustained several dents and smashed windows while the Poolzee sustained a sizable dent to its bow. No report of injuries. 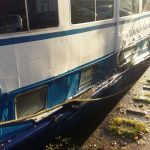 There were no passengers on board either the Angela Esmee or Anna Maria Agnes at the time of the incident. 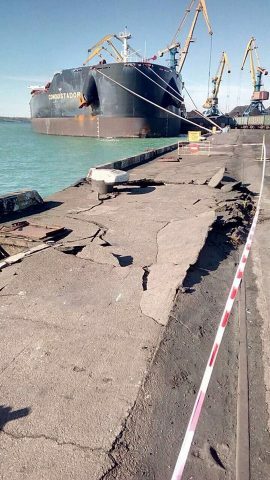 On October 12, the 300 meter long, 209090 dwt bulk carrier Conquistador allided with a quay near Odessa, Ukraine. The Conquistador had arrived from Vancouver with coal and was maneuvering to a berth when it’s bow struck the quay. 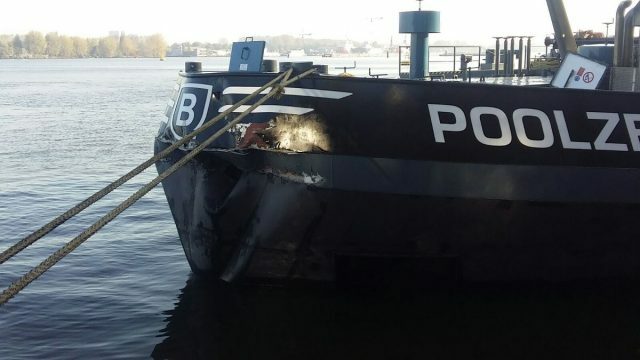 The bulker sustained a dent to its bow while the quay suffered some damage. No reports of injuries or pollution released. 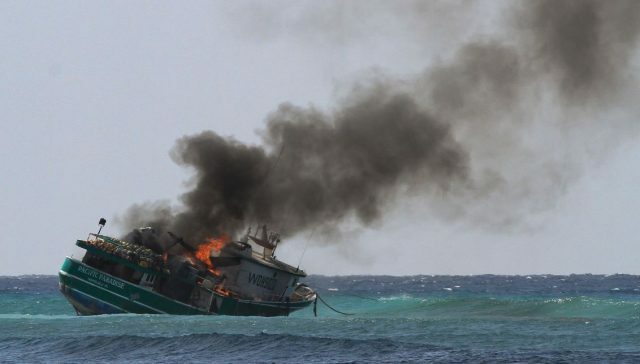 The 79 foot long fishing vessel Pacific Paradise caught fire while being salvaged off Waikiki Beach, Oahu, Hawaii. 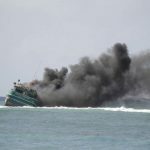 Seven people were on board the grounded fishing vessel attempting to tow the vessel free when fire broke out below deck. 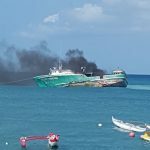 Everyone on board the vessel was able to evacuate safely. No reports of injuries. Reports state authorities attempted to douse the fire, but it remained to burn for several hours. 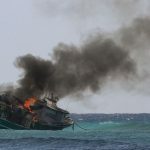 The Pacific Paradise still had some 1500 gallons of diesel fuel on board at the time of the fire. 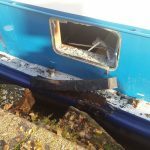 The cause of the blaze was not reported.